Modern F1 isn't all bad. Even though you'd be forgiven sometimes for thinking otherwise. This weekend the sport returns from its summer hiatus, and there could not be a better place to reconvene. 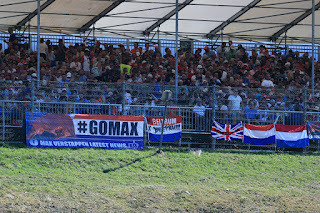 Spa-Francorchamps - its mere mention brings many associations. The picture postcard Ardennes scenery. The speed. The undulations. The fearsome turns. The inimitable organic feel. The clear thread to the very beginnings of motorsport road circuit racing. No wonder that when you ask F1 drivers, engineers or fans for their favourite modern venue this one is usually said, and often without the slightest hesitation. 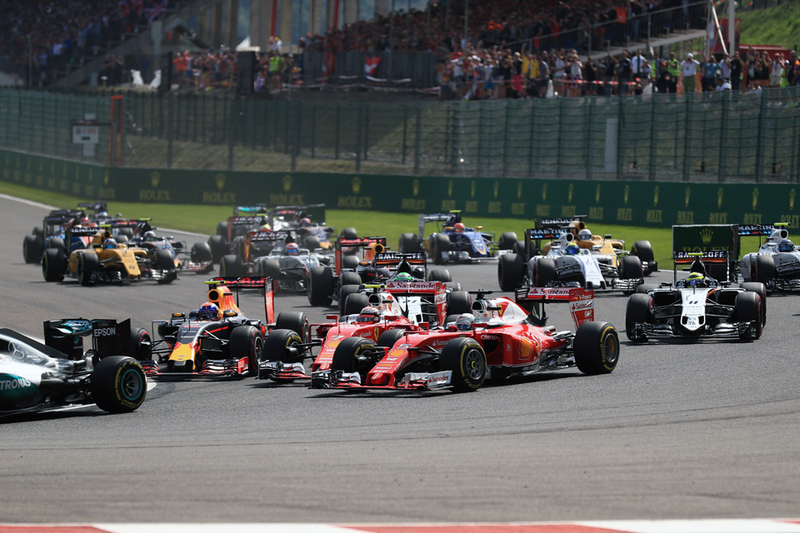 You can add too that F1 races at Spa almost always are diverting, providing more action, incident and unpredictability than several races around it combined. I'm sure there have been dull Sundays here, but it's not easy to cite them. The four-week summer break that separates this with the previous round in Hungary will furthermore have given all opportunity to ponder the perennial question of whither Mercedes. We seem to have spent all of 2017 expecting it to return to its familiar soar, yet Ferrari in particular has kept yanking it back to Earth at regular intervals. 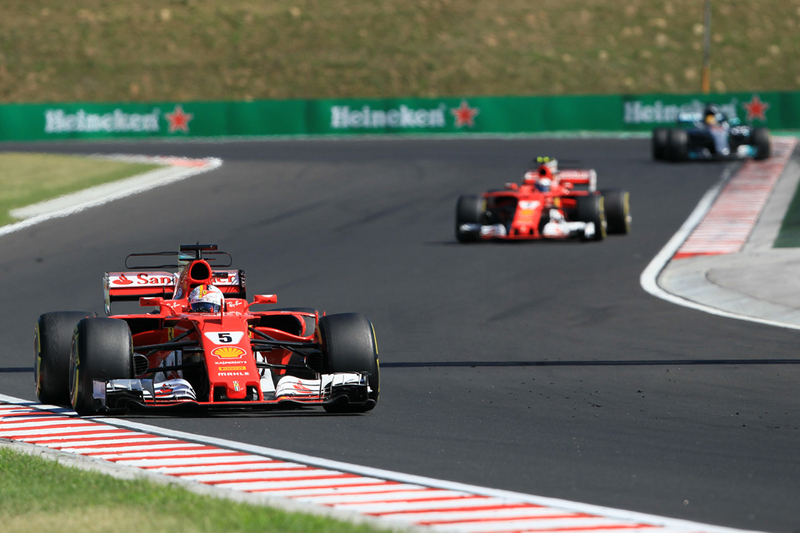 This happened at the sinewy Hungaroring where the red cars bagged a one-two just when Merc seemed to be reestablishing an edge. But Spa's challenges as intimated are very different. The silver squad is firm favourite - the track is 70% full throttle and much of the rest is fast cornering, while the weather (probably) will be cool. All a lot like Silverstone where Mercedes ran away. The long lap and high energy turns should head off Merc's niggling tyre warm up problems. Ferrari wasn't really denying in Hungary that this would be one for it to get through. It may get even worse for the Scuderia. Engine penalties have been expected for both cars at some point before the year is out, and given the anticipated Merc dominance and that overtaking at Spa is more possible than at most other tracks, Ferrari may choose to take its medicine here. One thing however will hearten Ferrari in advance, that Kimi Raikkonen long has been viewed a Spa specialist - with reason as he has four wins here as well as several other strong performances. Like Silverstone on a track big on fast sweeps he may be the lead red car. But what of Red Bull, which has been creeping towards competitiveness in recent times? It often is untouchable through the long turns of Spa's middle sector, and the key question is whether it can cede less than that through the full throttle blasts elsewhere. 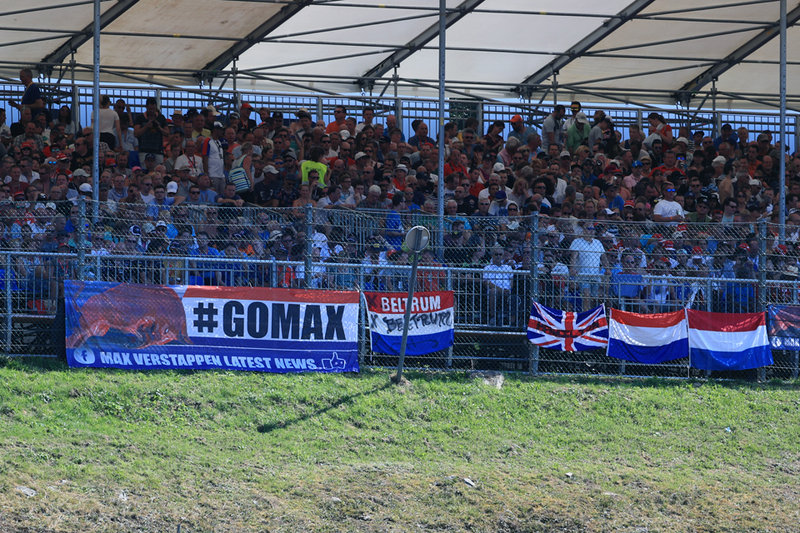 Max Verstappen will at least have plenty of support crossing the border from his (sort of) homeland. The lengthy full throttle sections of Spa should tilt things to those with Mercedes power. Force India for one has a good record at this track and got fourth and fifth places last year. The Williams too is swift on the straights though the Grove squad hasn't always been the best at maximising its latent potential over the last season or so. But Spa it rarely pays to look too far ahead. First off there is the perennial. As the name of the place indicates water is hard to escape here - the track is situated in a notorious micro-climate meaning rain can and does arrive with little warning and sometimes in vast quantities. Weather forecasts, even localised ones, are often of little consequence. 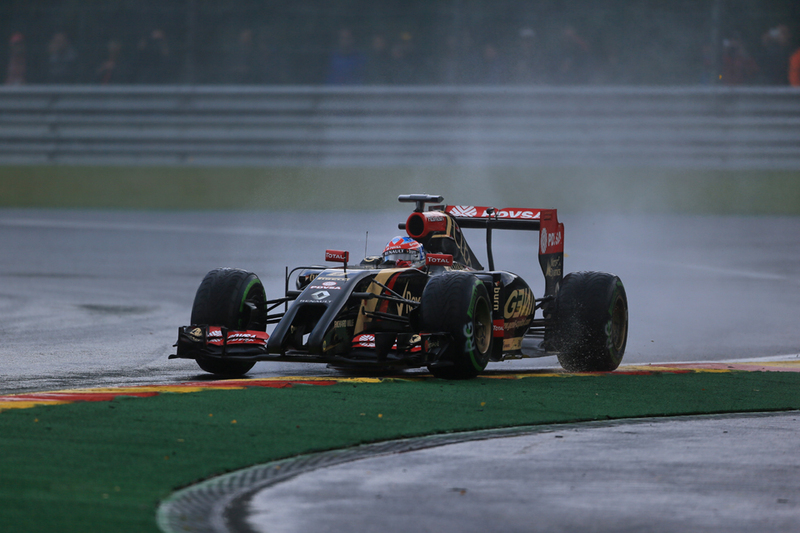 Virtually no Spa weekend passes without rain at some point. You can add to this too that with the long lap covering a vast area - it's the longest in modern F1 and more than twice the length of Monaco - it can be rainy on one part with the rest dry, and the lap's duration also means being on the wrong tyre at the wrong moment can really be punished. This is but one of several set-up challenges here, as even at the best of times a compromise has to be found between the lengthy flat out sections and the more twisty middle part. Compounding this, rain can curtail set-up time in practice as can accidents and red flags. It all came into sharp focus in the 2012 meeting, as the famous Spa rain reduced dry practice running to a handful of laps, and Jenson Button by luck or judgement landed upon an ideal set-up that prioritised straightline speed. And it contributed to a surprise, and surprisingly dominant, pole and win, as well as to a jumbled-up grid with the Saubers and Pastor Maldonado's Williams high up. Lewis Hamilton was just seventh and Sebastian Vettel down in tenth. Strategy is appropriately intriguing too. With tougher Pirellis this year the one-stopper has become the norm, even at the Hungaroring where such a thing is hardly heard of. Tyre wear is high at Spa though with its long and quick corners, and Pirelli has gone ultra aggressive by bringing the three softest compounds here for the first time. 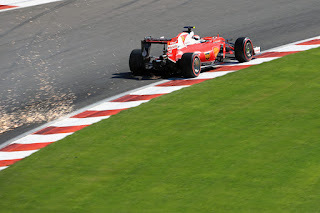 We've drawn a few Silverstone parallels and we saw the problems Ferrari encountered there by pushing its luck on a stretched out one-stop (indeed something almost identical occurred at Spa two years ago when the team tried something similar with Vettel). The length of the Spa lap makes pit stop timing even more critical. If practice is disrupted this further confuses calculations. The temperature also can vary wildly from hot to positively chilly, sometimes also in a blink. Last year the exceptionally hot (for the area) ambient led to plenty of blistering problems. Last year's poleman Nico Rosberg, among a few others, opened up strategy options however by getting through Q2 on a harder compound. Further the frequent safety cars and virtual safety cars in Spa races can dictate (and ruin) strategy approaches. While last year's race was turned on its head by an early red flag, with the likes of Hamilton (who started at the back after engine penalties) and Fernando Alonso vaulting forward with an effective free pit stop. But another good thing about Spa is that a poor qualifying slot isn't necessarily the end of your hopes as outlined. To wit - the pole sitter has only won this one six times in the last 16 years. And there's yet another variable - the race's opening seconds. The tight La Source hairpin first time through is the scene of plenty of carnage (see last year). Then there is the 25 second full throttle run to Les Combes, which with the resultant slipstreaming has led some to theorise that starting second is better than first. Yet even over and above all of this Spa has another intangible quality - things, somehow, happen here. Things unimaginable in advance. Make sure you're in place.